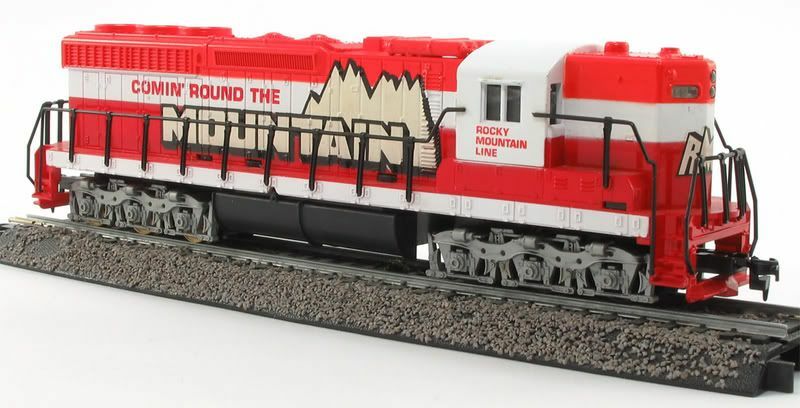 Yet another song-inspired fantasy road, TYCO's Comin' Round The Mountain-Rocky Mountain Line set was first seen in the 1977 catalog. The then-new SD-24 is dressed in an attractive red-white-and-orange scheme. 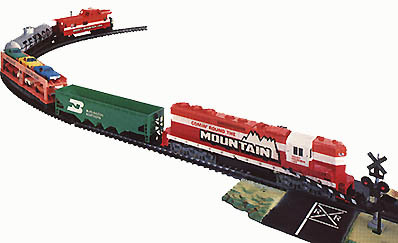 TYCO also offered a Comin' Round The Mountain-Rocky Mountain Line Steamline Off-Center Cupola Caboose.